1. Sign into your account using your login and password on ALFAcoins.com and click on the Settings option. 2. 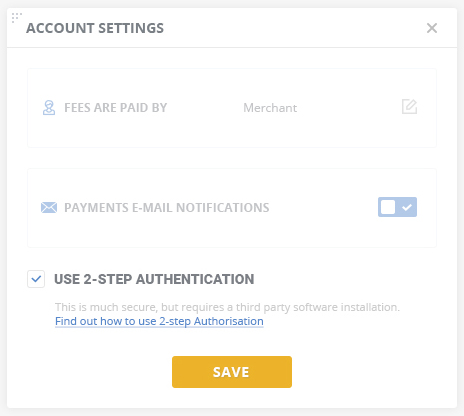 In Account Settings, check the field “USE 2-step Authentication” and click on Save. 3. Install the Google Authenticator application on your smartphone (Android, iPhone or BlackBerry). 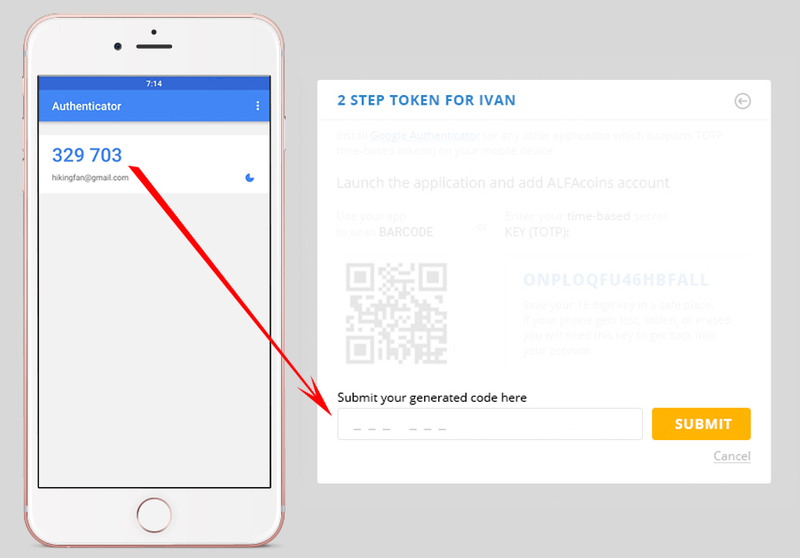 Scan the ALFAcoins Barcode or enter a provided TIME-BASED KEY (TOTP) into the application manually (example: ONPLOQFU46HBFALL). Don't forget to write down and save your 16-digit key. 5. Enter the 6-digit code that appears into the appropriate field on ALFAcoins.com. Please note, the code is only good for 30 seconds. 6. 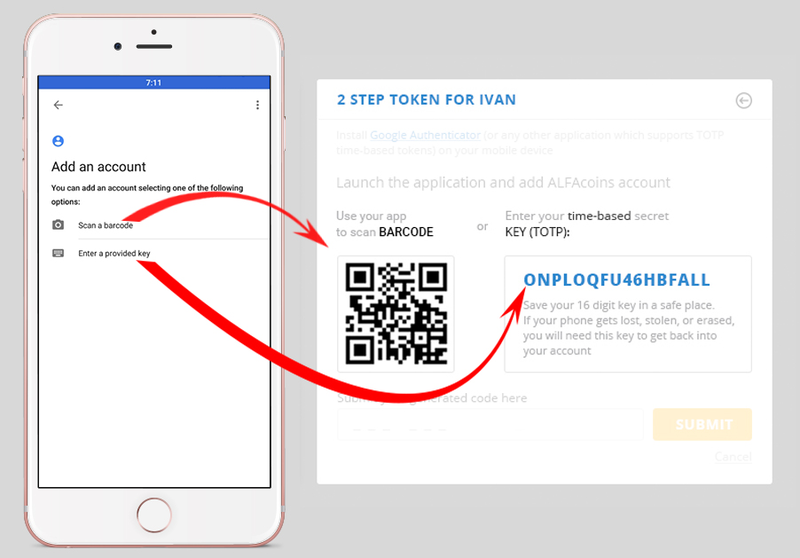 After the authentication code is accepted and the 2-step Authentication settings open, click on “Ready” in the Google Authenticator application. 7. 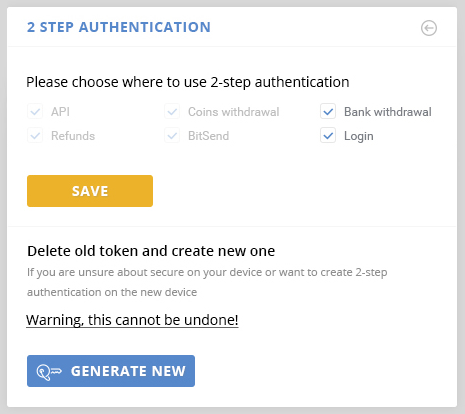 In the 2-step auth settings on ALFAcoins.com, select where you would like to use 2-step Authentication; and after that, save the changes.